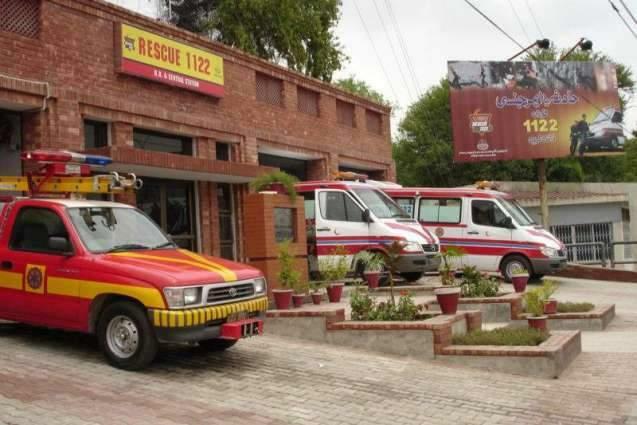 LAHORE, (UrduPoint / Pakistan Point News - 17th Apr, 2019 ) :The Punjab Emergency Service Rescue 1122 provided services to victims of 821 road accidents across the province during the last 24 hours. According to the data provided by the PES here on Wednesday, four persons were killed and 882 others injured in the accidents. As many as 525 seriously injured persons were shifted to different hospitals while 357 with minor injuries were provided treatment at the incident site by the rescue medical teams. Further analysis showed that 330 drivers, 25 underage drivers, 158 pedestrians and 398 passengers were among the victims of these road traffic crashes. The statistics show that 213 RTCs were reported in Lahore which affected 196 persons placing the Provincial Capital at top of the list followed by 112 in Faisalabad with 122 victims and Multan at third with 67 RTCs and 68 victims. According to the data, 617 motorbikes, 122 auto rickshaws, 77 motorcars, 49 vans, 07 passenger buses, 17 trucks and 104 other types of auto vehicles and slow moving carts were involved in these road traffic accidents.